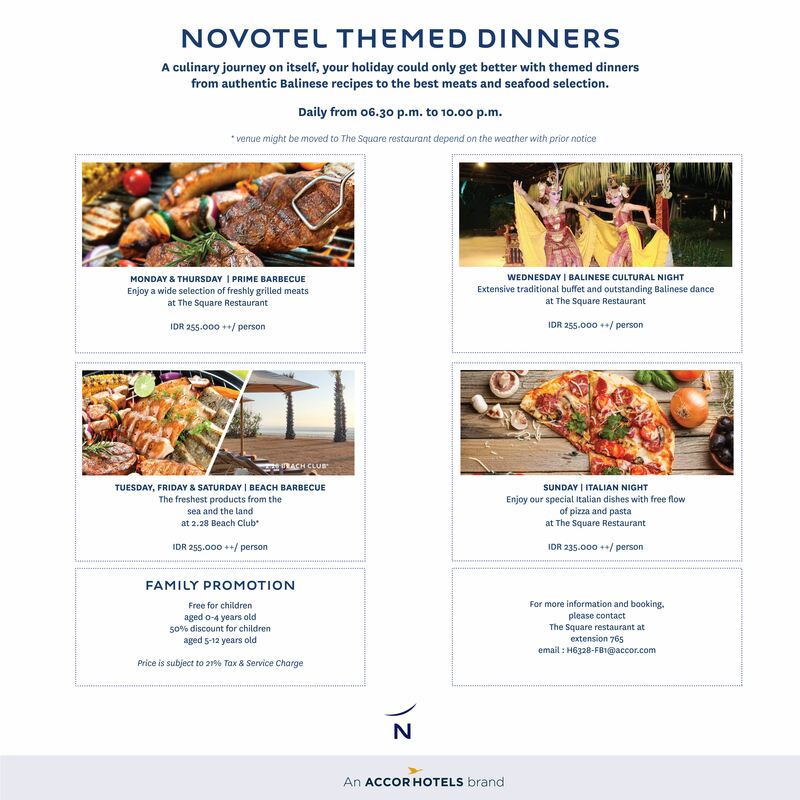 Novotel’s signature all-day dining restaurant, will certainly fulfill your appetites with delectable international (Western & Asian) and local cuisine. Features a refreshing view to our expansive pool lagoon. Its open air and welcoming design offers both indoor and outdoor seating which also can be booked for private function. Dine and relax, this open air restaurant offers the perfect setting for an a la carte or daily theme night dinner. Free Wi-Fi available.